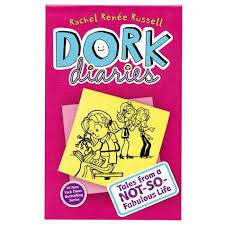 The Big Nate series shares three things in common with Diary of a Wimpy Kid and Dork Diaries: it flies off the library shelf, it appeals to all types of readers and is written with text and pictures. The day Nate gets a fortune cookie that says he “will surpass all others”, turns out to be the worst day ever. He tries lots of different things to “surpass all others.” Whether it’s getting caught trying to set the world record in speed-eating green beans (from the school cafeteria – ick!) or wearing Coach John’s shorts stuffed with paper towels (long story), everything seems to earn Nate detention – everything. Big Nate hits home with so many of my students. My son read six Big Nate books on one trip. I think it’s because Lincoln Peirce captures a 12 year old’s snarky voice so well. It’s sure to be a hit. 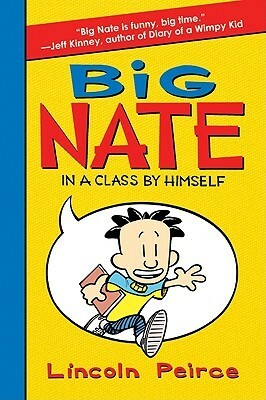 If your students like Big Nate, they’ll also love Lincoln Pierce’s Big Nate comic books.